After 2014's "F the B", we bring you "F the B 2" to showcase some of the acts we at Emotif have got together for this second chapter. We open this forthcoming EP with a track from Ray Keith, "Never Give Up" is a solid piece of drum and bass from a master, with a floaty ethereal female vocal sample over a heavy complex beat and pulsing bass. 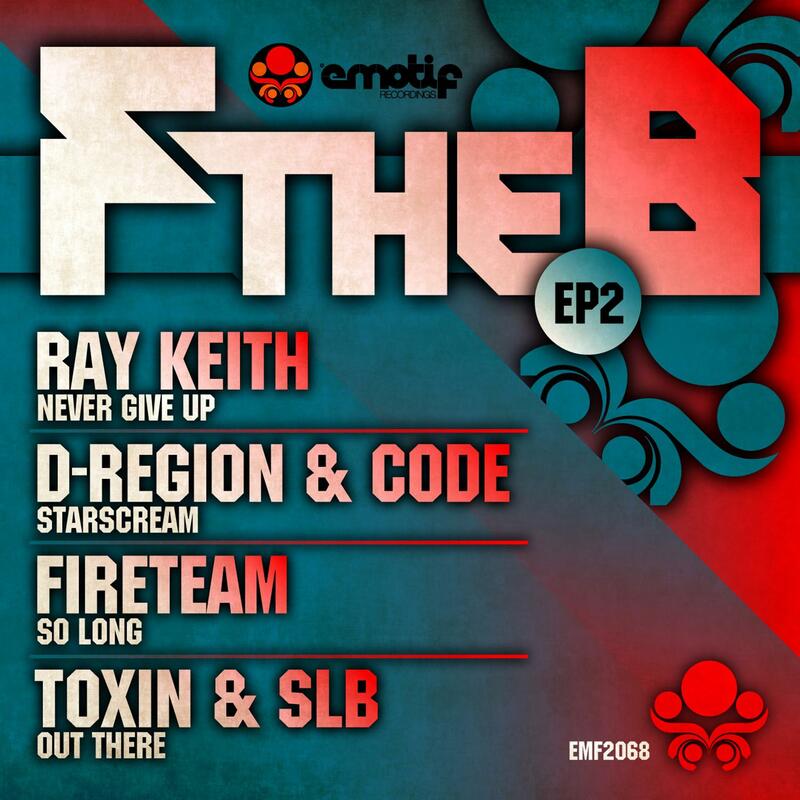 D-region and Code return once more after their contribution to the last F the B ep. The video to that track, "Only One" featured on Muzu's homepage for days. The new track "Starscream" would fit right into a horror movie score with ghostly wails and a dark, grimey rhythm and bass. We also welcome Fireteam who've had a recent release on our sister label Botchit. The gritty, high energy tune "So Long" sounds like a house party just before the police turn up for a noise complaint - a sound this London trio, consisting of Smokesta, Trimer and MC Mekar, excel at. Toxin and SLB's "Out There" is a multilayered and unexpected piece, the frantic opening bars giving way to warm dubby bass sounds that sweep over the beat and around the horror film spoken sample. As relative new comers, we're excited to bring this production duo to the ears of Emotif listeners. As always, look out for new releases from Emotif coming your way, we've got singles from Fireteam and Loggi on the horizon. 1. Written & Produced by Ray Keith @ Jah Dread Studios,Essex. 2. Written & Produced by Ted Marrocco and Stefan Martinez @ Westlake studios, London. 3. Written & Produced by Harun Blissett, Ben Murphy, Dean Hudson. @ Bury Dem Studio, London. 4. Written & Produced by James Davis & Paul Mangion @ CR0 Basement Studios, Surrey. Tracks 1, Dread Music 2,3,4 by Dharma songs.